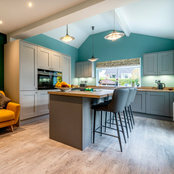 https://www.instagram.com/kitchenalityltd/ Kitchenality Ltd is a concession based in Arighi Bianchi, and specialises in the design and installation of quality, cutting-edge kitchens predominantly across Cheshire and the North West. All kitchens are designed and tailored to the given space, using intelligently engineered products and distinguished detail. Kitchenality offer a diverse range of kitchens from all different price levels which all meet our exacting high standards. Our design team are passionate about client care, having worked extremely hard to develop a unique sales approach which clients regularly tell us is ‘refreshing.’ We ensure we remain at the forefront of our field, both in terms of design excellence as well as customer service. DESIGN, PLAN, PROJECT MANAGEMENT & AFTERCARE POLICY We offer a full Design, Supply, Project Management and Installation service with an understanding of our customer from the outset. They say the success of any project is in the planning. Our state-of-the-art CAD system provide detailed plans and 3D renderings to bring your kitchen proposals to life, whilst our vast selection of styles, finishes and materials provide you with flexible and affordable solutions for high quality developments. With our attention to detail we ensure that the running of your contract is managed by our Project Manager. We handle all the logistics for every part of your kitchen installation, ensuring that timescales and deadlines can be worked to. Our team will work hand in hand with your site managers to ensure that all services and site readiness are monitored on a day by day basis. 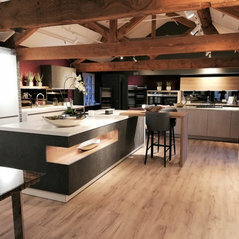 WHO WE ARE Kitchenality are the first kitchen showroom to be based in the exclusive Arighi Bianchi store and showcase and sell bespoke, luxury kitchen design and exquisite ranges made by our German partner Rempp, an entirely unique product within todays kitchen market place. 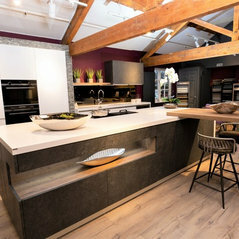 Kitchenality is the vision of three ladies, Tracy Mackey, Nicola Leary & Sarah Olsen, with vast experience in the industry providing excellence in Sales, Design & Project Management.